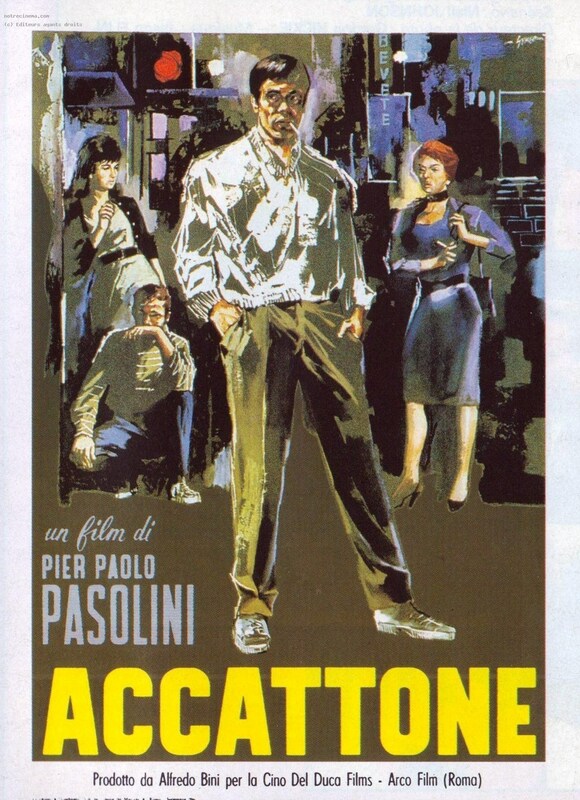 Accattone is a 1961 Italian drama film written and directed by Pier Paolo Pasolini. 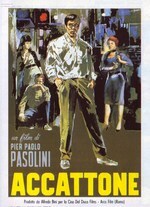 Despite being filmed from an original screenplay, academics perceive Accattone as a cinematic rendition of Pasolini's earlier novels, particularly Boys of Life and A Violent Life. It is Pasolini's first film as director, employing what would later be seen as trademark Pasolini characteristics; a cast of non-professional actors hailing from where the movie is set, and thematic emphasis on impoverished individuals. While many people were surprised by Pasolini's shift from literature to film, he had considered attending the Centro Sperimentale di Cinematografia in Rome before WWII. Pasolini had cooperated with Federico Fellini on Le notti di Cabiria and considered cinema to be writing with reality. The word "Accattone" is a slang term mainly used for beggars, referring to people who never do well, who are lazy, and who rarely hold down a job.